Join the SoSpa team for a New Year boost! 2019 BUZZ WORD IS EMPOWER! 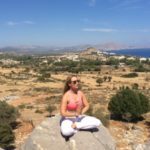 motivation & confidence & reduce sabotaging your healthy eating and fitness goals in 2019 encouraging overall better health. 8.30 Guests arrive for the day retreat. 9.00 -9.45 Energiser power walk through beautiful woodland. Lunch will be a 3 course buffet menu based on the So Lean And Clean plan. Q:What level of fitness do I have to be? A: Our super trainers are able to work with all levels if fitness and prior to the event we will send a health questionnaire out to you so that we can offer you the very best expert advice and experience. Q:I have special dietary requirements. Can you accommodate? A: Yes again we will ask this and we will meet your requirements. We would love meet you! See below for more SoSpa Dates. We add more to these throughout the year. 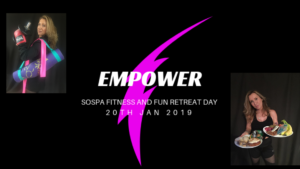 2019 dates for SoSpa Fitness Escapes. Past Clients Loyalty rewards. A further £100.00 from the above price. Refer a friend who has never been on a SoSpa holiday before and receive a £100 voucher towards your own booking . 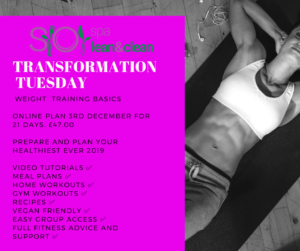 21 Days access to the So Lean And Clean online lifestyle plan prior to the holiday. *Excursions to Rhodes Old Town or the local Spa extra if requested. *Flight prices are based on Uk flights. For overseas clients prices will vary. Any queries please do not hesitate to ask. We have added a new September date for 2018! Taking bookings now for the 5th -12th September . What a superb time of year for this break , the sea is a beautiful temperature and out of school hours you will find a tranquil relaxing holiday to kick back between the workouts. Do you suffer from back problems? I have put together a series of injury rehab videos . Always check with a doctor before you take up exercise after or during an injury. I see people with lots of injuries who have been signed off from the hospital or Dr.
Its very difficult to know what exercise will ‘cure or flare’ an injury and its often an elimination process under guidance to get back to a pre injured state. Always begin at Level 1 and just start with minimal repetitions of each exercise. If that is not causing a “flare ‘ then continue. If you would like any more help . We are her to assist you and get you on your way back to complete wellness. Improve Your Fitness In The Sun! in the sun fitness holiday then you have found us! See prices on our SoSpa Fitness Fun page and mail us for any queries.